The legal and regulatory framework for the availability of information in Gabon is generally in place. However, deficiencies have been identified regarding the availability of ownership information for bearer shares. A recent amendment to the legislation requires all securities including bearer shares to be dematerialised, but lacks clarity on the practical arrangements to ensure that the dematerialisation process will be effective for all shares after the transition period. Also, there are no enforcement measures to ensure that share registers of public limited companies and simplified joint-stock companies are kept up to date. Gabon has sufficient powers to access information for both domestic and exchange of information purposes and the right balance has been struck between rights and safeguards and accessing information. At present, Gabon’s network of information exchange mechanisms covers 82 jurisdictions. 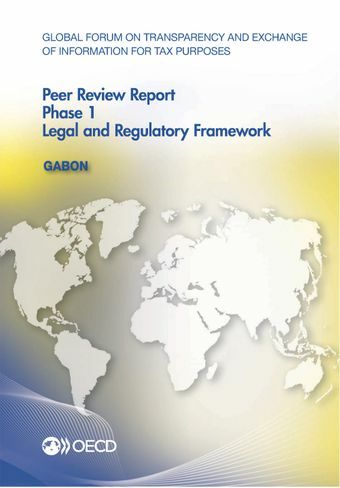 Gabon’s response to the recommendations in this report, as well as the application of the legal framework to the practices of its competent authority will be considered in detail in the Phase 2 Peer Review of Gabon which is scheduled for the fourth quarter of 2015. For further information on the exchange of information practice of Gabon and to read the full report click here.